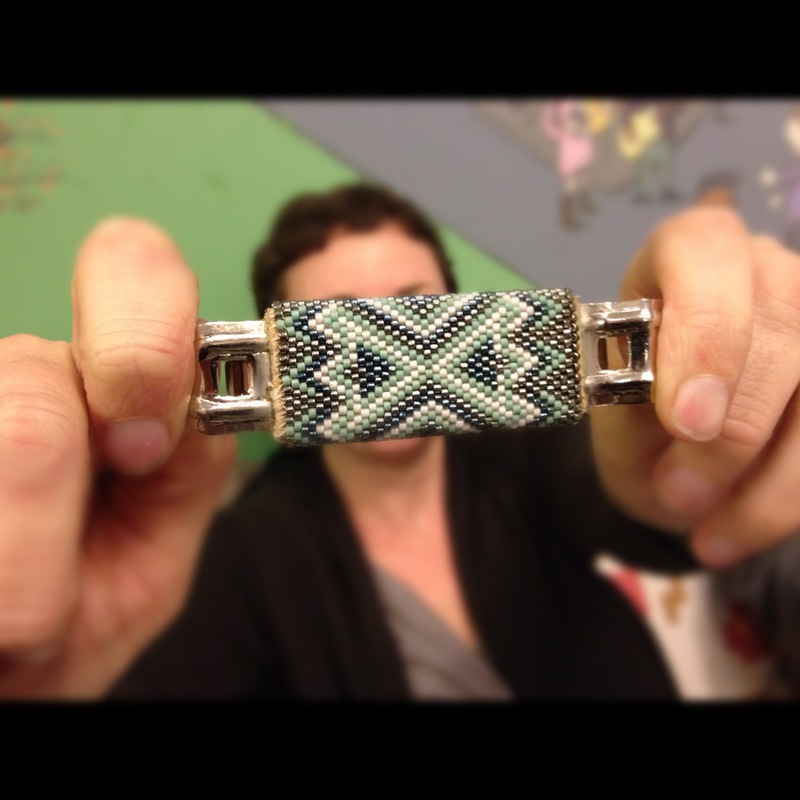 another version of my peyote stitch beaded bottle openers, this one gifted to r.r. at the last pints n’ purls, gather here, cambridge. the color palette was picked particularly with her in mind; its hard to top r.r. on color–evidenced, here. more beading at its set.